Morning registration at 7:30 a.m., tee off at 8:30 a.m. Afternoon registration at noon, tee off at 1:30 p.m. This tournament honors the legacy of Tom Duckett, a member of the Class of 1968 who was a well-respected student-athlete. Tom served in Vietnam, where he unfortunately went missing in action. The event raises funds for the Panther Club, which provides resources for student-athletes, allowing them more opportunities to succeed in athletic competition. To be part of this year’s tournament, download a registration form below and return to Jim Claybrook at jclaybro@lagrange.edu. 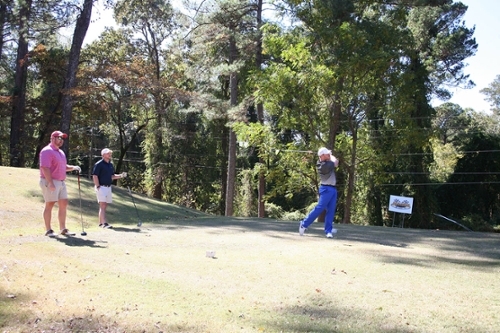 Entry fee is $125 per player or $500 per team, with range balls, cart use and green fees included in the cost. For more information, contact Jim Claybrook through the LaGrange College Development Department at 706-880-8459, 706-333-8268 or jclaybro@lagrange.edu.